Nearly 4 out of 10 students passed AzMERIT this year, but achievement gaps persist between student subgroups and different races/ethnicities. 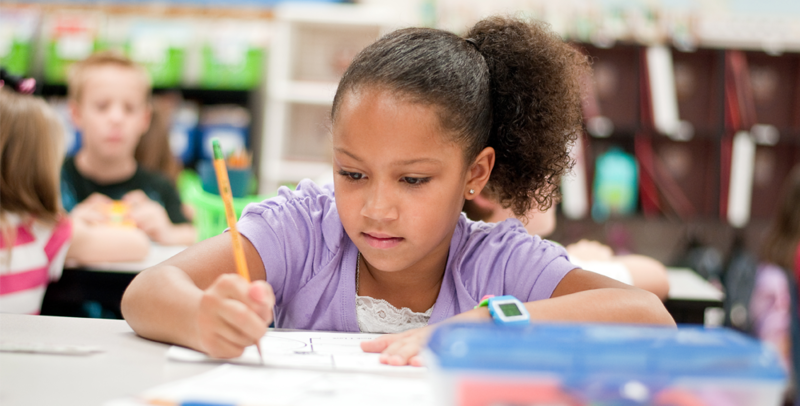 Arizona students in third- through twelfth-grade took AzMERIT last spring, which measures their proficiency on grade level academic standards in English/language arts and mathematics. This is the second year that students have taken the test, which measures real-world skills by asking students to perform tasks, do multi-step assignments, apply their knowledge, defend their reasoning, read complex passages, analyze them, and write thoughtful responses. The Arizona Department of Education released final results today from the Fall 2015 and Spring 2016 administrations of the AzMERIT statewide assessment and the Multi-State Alternate Assessment in an Excel file and more information about the assessments. 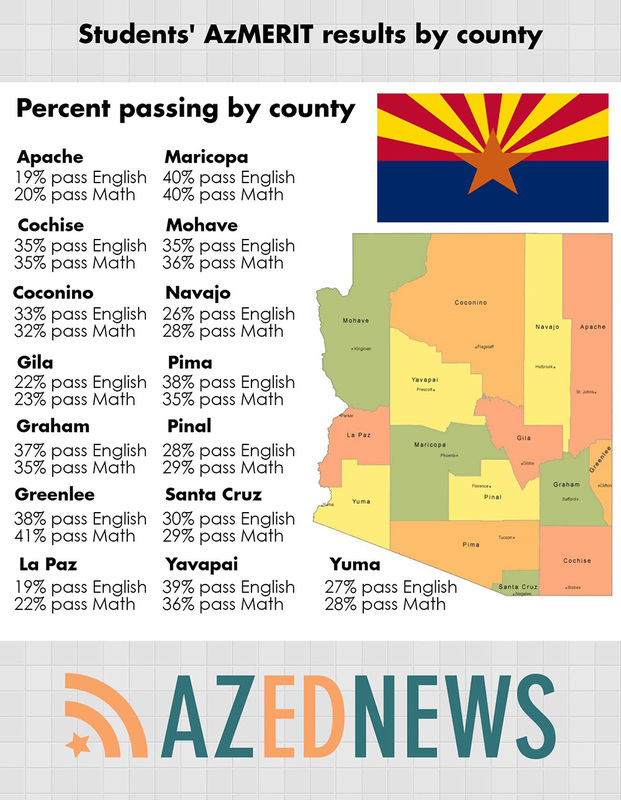 Only 26 percent of Arizona students from low income households passed AzMERIT’s English/language arts portion compared to 38 percent of students statewide, while 27 percent of those students passed the math portion compared to 38 percent statewide. This is significant because in Arizona, 51 percent of children live in low-income households, 26 percent live in poverty and the annual median income for families with children dropped by $7,210 to $53,470, according to Children’s Action Alliance’s Arizona Kids Count Data Book released earlier this August 2016. Homeless and migrant students passed AzMERIT at even lower rates than students in low-income households. With just 19 percent of homeless students passing English and 18 passing math. Just 14 percent of migrant students passed English, while 17 percent passed math. But the sharpest drop was seen among the state’s most vulnerable students – those with disabilities and those who have limited English proficiency. Nine percent of students with disabilities passed English and 11 percent passed math. Just two percent of students with limited English proficiency passed English/language arts and just five percent passed math. 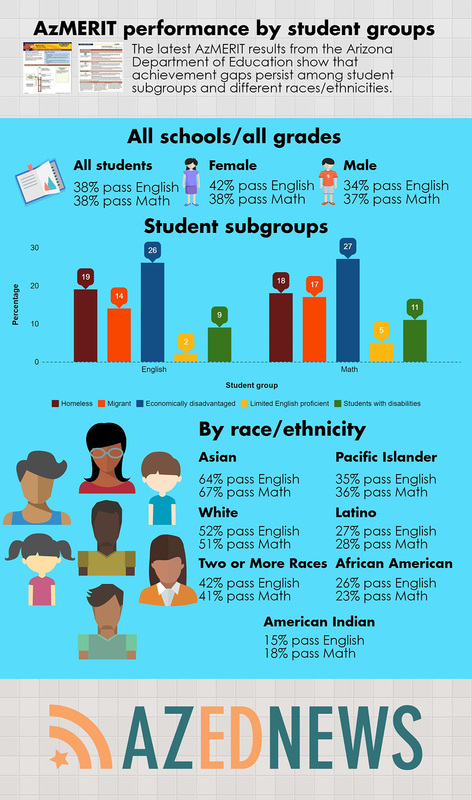 Achievement gaps between racial/ethnic groups statewide remain pronounced with 28 percent of Latino and 18 percent of American Indian students passing math, compared to 67 percent of Asian students and 52 percent of white students. These results also provide a snapshot of how well students are mastering important concepts as their education progresses. Parents of Arizona third-graders know the AzMERIT results are a critical component of how their child’s reading proficiency is measured. Third-graders who are not proficient in reading may be held back from fourth-grade until they are reading at grade level, according to Arizona’s Move on When Reading law. 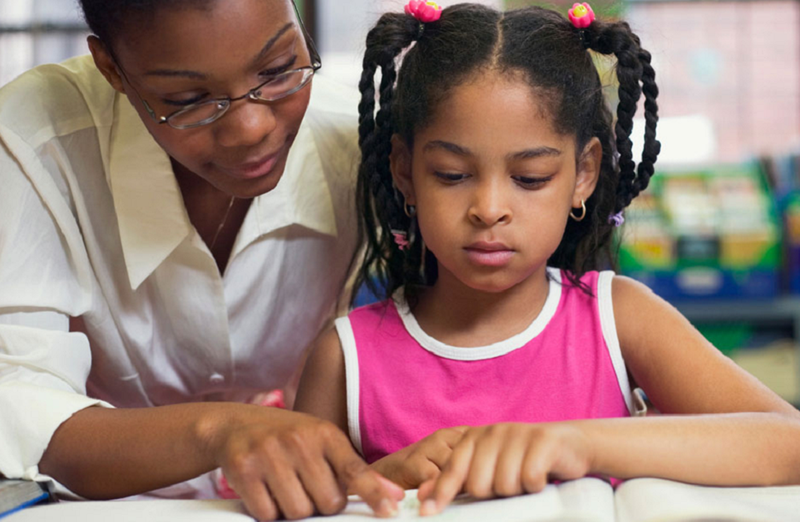 Through third grade students learn to read, but in fourth grade students really begin reading to learn. The percentage of eighth-grade students who passed the math portion declined this year from last year. This may have been because high performing eighth-grade students enrolled in high school-level classes, such as Algebra I and Geometry did not take the eighth-grade math assessment this year, instead they took the end-of-course high-school level tests for those courses, which was a change from last year, according to Expect More Arizona. 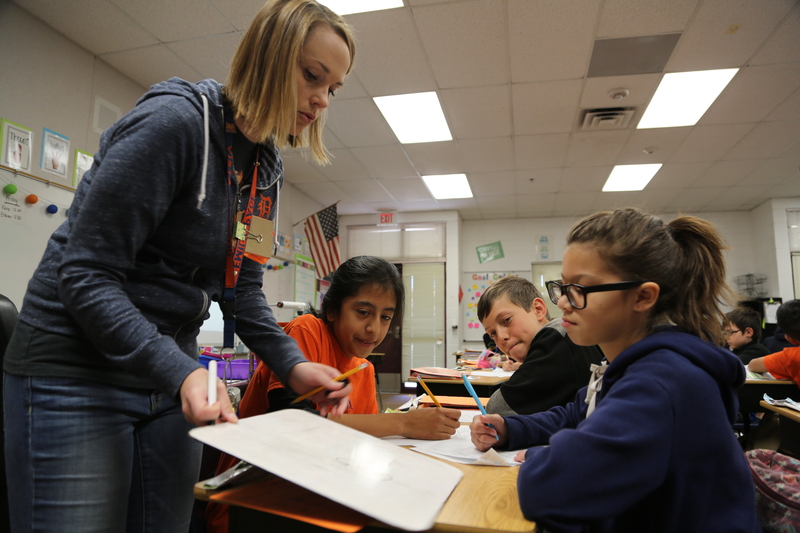 Arizona eighth-graders have made strides in math proficiency on the NAEP between 2013 and 2015, while eighth-graders’ scores in most other states declined, Expect More Arizona noted.